Steampunk supervillains, you say? Go on. Artist Chet Phillips may have a little bit of a steampunk problem. Back in December, he unveiled his steampunk re-imagining of iconic superheroes. 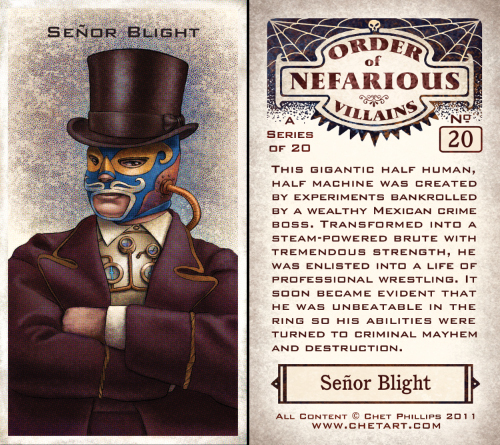 Now, Phillips is back, and he's got some more designs to show off: Steampunk Supervillains. 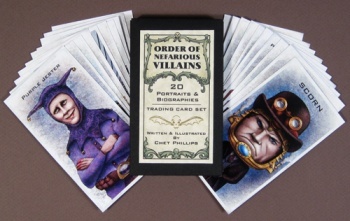 Phillips recently made an update to his website, showcasing his designs for The Order of Nefarious Villains, a twenty-card set that he's now selling on Etsy. 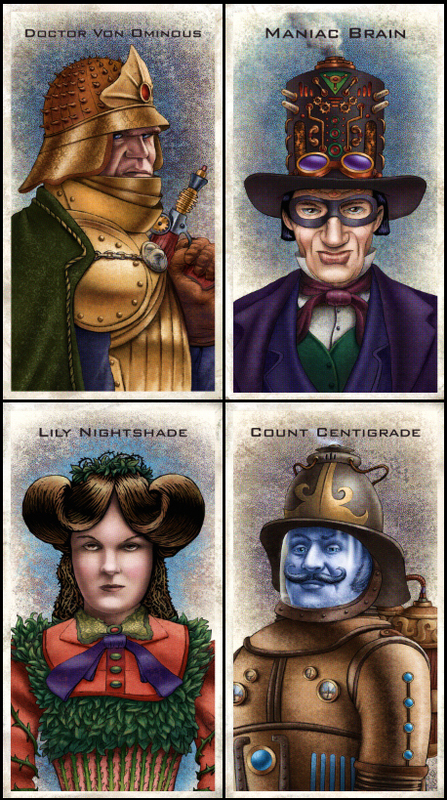 The cards feature designs for characters like Bane, Poison Ivy, Doctor Doom, and Mr. Freeze. Oh, yeah, and they look absolutely lovely. 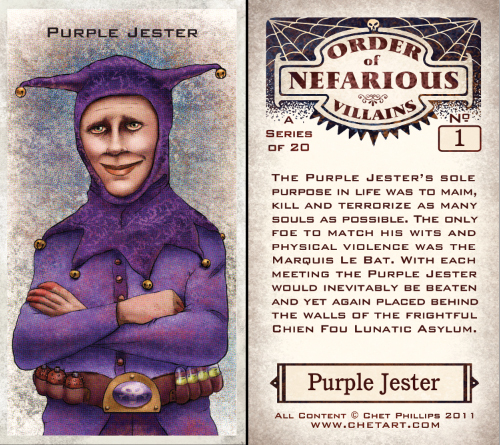 The Order of Nefarious Villains serve as the evil counterpart to the Union of Superlative Heroes. Spawned from the dark recesses of spider pits and graveyard shadows, this collection of evil deviants inhabit the same parallel Steampunk Victorian universe as their heroic foes. 20 cards in the set, including the characters Professor Cephalopod, Sir Samuel Lodestone, Black Piranha, Feline FrÃ¤ulein, Lord Venomous, King Congo plus 14 more. 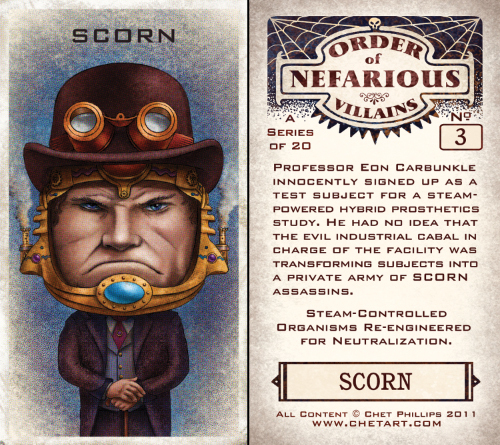 Each card showcases their portrait along with a brief description of their malevolent deeds, origins and abilities. You can see some of the card designs below, or you can head over to Phillips' Etsy shop and pick up a pack for $10 (plus shipping). As stated earlier, there are twenty cards in the set, and they're printed on 14 pt. cover stock, which means they double as blunt weapons you can use to beat down disappointing minions who screw up your global takeover plans.